Global Finance: What is the biggest driver of companies’ increasing reliance on outside asset managers? 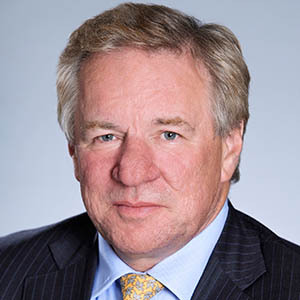 Martin Gilbert: Traditionally, companies’ in-house investment management teams are largely focused on managing domestic equity and fixed income portfolios with a sprinkling of overseas assets. However, there is an increasing desire to diversify, both geographically and in terms of investment areas, which means corporations are outsourcing portfolio management responsibilities. GF: How much money do you manage for corporates? And how has it grown? Gilbert: I was one of the co-founders of Aberdeen Asset Management back in 1983, when we started with less than £100 million ($156 million) of assets under management. Today we manage over £300 billion and are one of the largest independent fund managers in the world. A significant proportion of this growth has been reflected in the money we manage on behalf of companies. In total we manage around £70 billion on behalf of pension funds. GF: How aggressive are companies getting with their investments? Where do you steer their cash? Gilbert: Investors generally are becoming more adventurous, given the extremely low yields available on government bonds. That said, their investment guidelines mean they do not undertake a laissez-faire approach to investing. Consequently one product where we have seen investor interest is our investment-grade emerging markets debt fund. Another area is alternatives—encompassing hedge funds, infrastructure, private equity and property. By diversifying into alternatives, investors are obtaining exposure to risk/return profiles not offered by traditional equity and fixed income investment strategies. GF: What’s the biggest challenge to growing this side of the business? And what is fueling demand? Gilbert: It is a highly competitive market, so we have to ensure we’re differentiated from the pack in terms of our investment approach and the service we offer to clients. I don’t think there is one catalyst, but continued diversification and globalization of investment portfolios will be a driver of our business over the next decade and beyond. 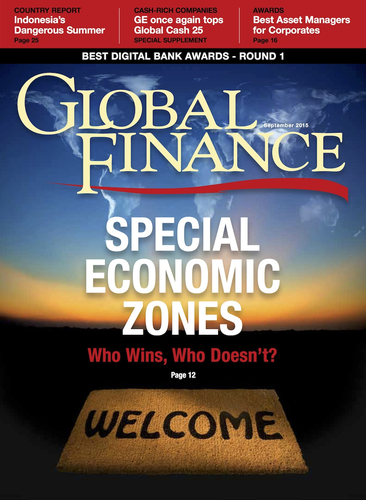 GF: You have a particularly strong presence in emerging and frontier markets. What trends are you seeing in corporate investments in those regions? Gilbert: We have been investing in emerging markets since the 1980s and continue to see an improvement in the quality of companies available. Despite the current cyclical downturn, we believe the structural shift of wealth from West to East over the decades means EM cannot be ignored. However, whilst the corporate environment in emerging markets has evolved, very few [corporations] invest in stock markets overseas. Private pension provision is limited in many companies. GF: What’s your major challenge and greatest advantage as an independent? Gilbert: Brand is both a challenge and advantage. As an independent asset manager we are not as well known as some of the global bancassurers, but at the same time we don’t have the baggage that these houses have.